Postal Redux, a HD remake of the notorious isometric mass murder sim from the ’90s, is releasing on Steam on May 20. There’s plenty of murder in our list of the best FPS games on PC. 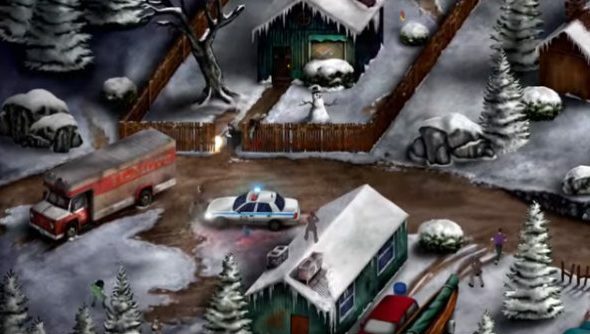 Postal Redux is being handled by the original series creators, Running With Scissors, and will feature brand new levels, updated visuals, enhanced audio and an all-new score attack mode called Rampage. Only one of the new levels has been revealed so far and will take place in a carnival. Don’t say you’ve never had angry thoughts about the microphone guy who keeps saying “if you wanna go faster, screeeam” at your local fairground. In total, the remake will have 17 levels, taking you though mines, military bases, trailer parks, the city streets and more. Linux and Mac versions are planned, but there’s been no date set.